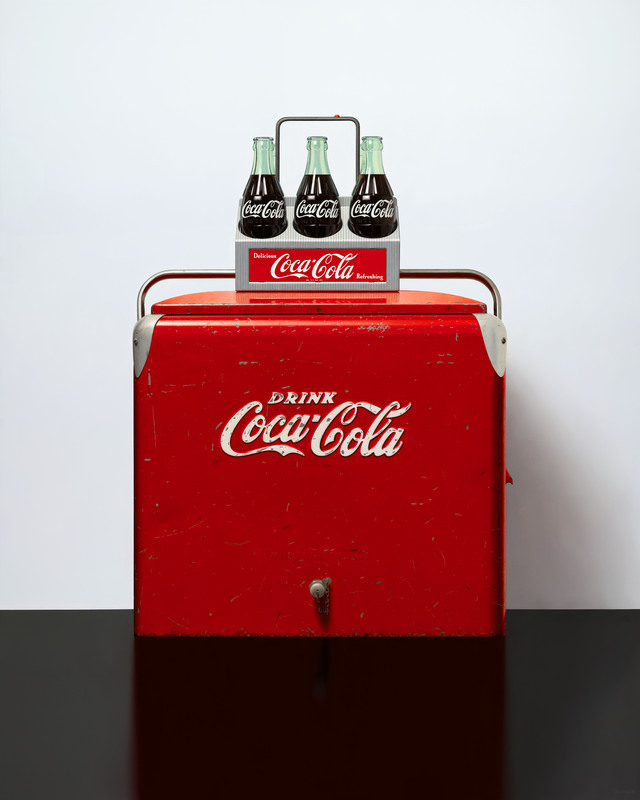 If you read my last post, you would have seen a very high resolution image of my latest completed painting, the Coke Carrier. Having a high resolution image of my work has interested me since I first saw the Google Art Project (now called Google Arts & Culture) 7 or 8 years ago. This is a collection of images of famous artworks from various museums around the world. Many of the images are of such a high resolution, you can zoom in and see brushstrokes, cracks in the paint layer, and even dust. But what was even more impressive was how much detail some of the artists were capturing in the painting. The one piece that stands out for me was "The Ambassadors", by Hans Holbein the Younger. Here is a link for you to check it out - (The Ambassadors). Zoom in anywhere in the painting and you find incredible detail. While you are on the Google site, be sure to look at some Rembrandt paintings. Obviously detail in artwork isn't everything, and nor will it replace the ever important content factor of a piece. I don't paint paint all the little details in my work to show off, I simply just like how it looks and enjoy the challenge. Art is a form of entertainment and I find detail in painting entertaining; this is what I'm looking to add to my work - just an extra bit of entertainment. Being fascinated with high resolutions on Google, I often wondered how such large images were created. Sure there are large format film cameras that create big images, but I don't have access to those. Even though digital camera manufacturers are cramming a lot of megapixels (i.e. 24MP, 36MP, 42MP, 50MP!) into their image sensors these days, that's still not enough resolution to create The Ambassador's size photo. My guess is that they are using digital cameras, but photographing the painting multiple times creating many small images that can be stitched to together in a software to create one large image. To see if I was capable of doing this for my own work, I tried photo stitching images of my Coke and Cooler painting. There are plenty of YouTube videos demonstrating this technique in Photoshop. It took me a few attempts, but I was able to string along eight images and have Photoshop correctly align and stitch them together. The most important thing I learned was to provide plenty of overlap in each photo - something like 30%. This allows Photoshop more information for where each image should be placed. As you can see from the image below, the technique was a success. I used a Canon SL2 (24MP) with a Canon EF 50mm f/1.8 to achieve this 95.5MP photograph. Okay Google, I have a large image of my painting, please add me to your site! Click the image below to enlarge and zoom in.